This is a thank you card for my Mom, she is always there when I need her:) I had to have my oldest dog Gummer put down last week and she came with me. She was always there and ready to take care of my dogs, especially in Gummer's later years when she needed more company while I was at work or away for the office. I was really inspired by the chevron and flower mix I am seeing lately so this one will be submitted for the Fusion and CAS-ual Fridays and, of course, the "Just for Her" Hero Arts contest. Super sweet way to say thanks to your Mom. I love the various colors on the chevrons and the touch of bling. So glad you were able to join us this week at Fusion. Kim this is such a sweet card, I love your chevrons with the flowers on top, i is like a garden. Thank you so much for sharing with us this week at the first Fusion Hypothesis! 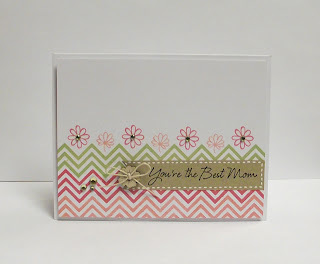 I love the chevron stamping <3 It's just so amazingly perfect! Thanks so much for joining us at CAS-ual Friday Challenge! I'm so sorry to hear about your dog. 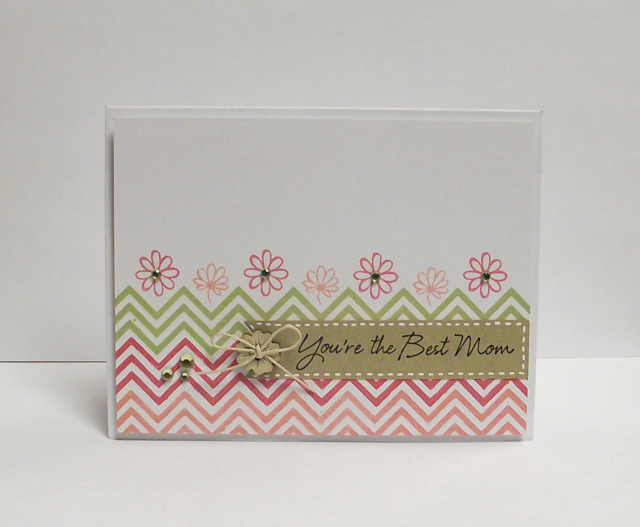 *hugs* It sounds like your mom is very supportive, and it's so sweet that you made the card for her. It's lovely! Your stamping is perfect. Thanks for joining us at CAS-ual Fridays! Oooh, love your delicate pink and green chevrons, Kim! The flowers look great in the dips of the chevrons, and the sentiment on kraft was a great choice. Thanks for playing with the CAS-ual Fridays Challenge, AND the very first Fusion Challenge! such a pretty color combo! Thanks for joining us in the Fusion fun! Thanks for joining CAS-ual Fridays!